Powerful statement piece. 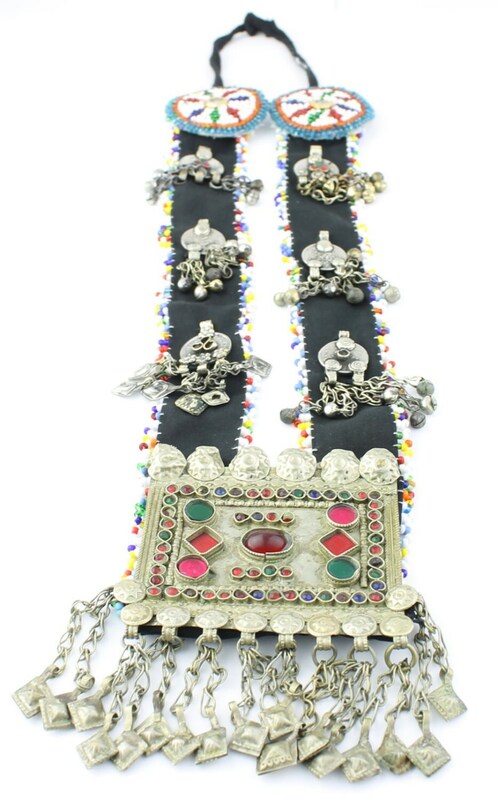 This stunning necklace comes from Pakistan. It is extremely detailed. The large pendant displays a intricate design of colorful glass work. Hanging from the pendant is a set of chains and charms which create the most lovely of sounds chiming together. 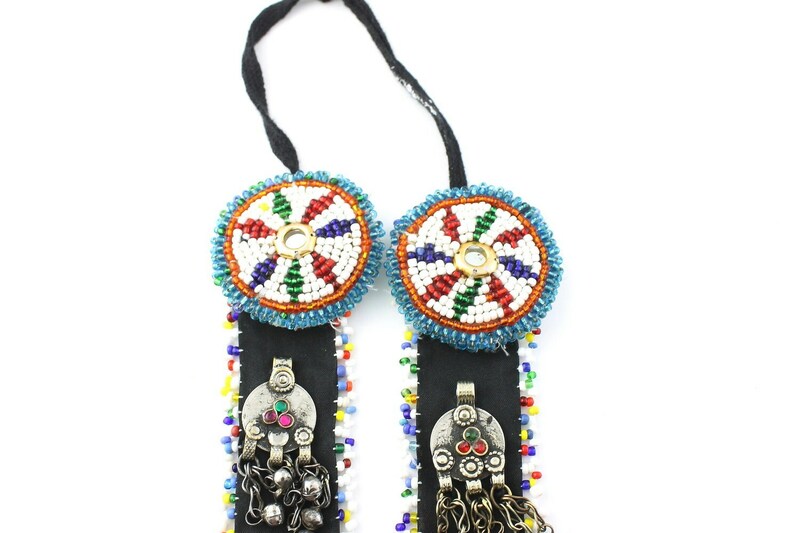 The black straps boast six coin charms as colorful bead work runs up each side. 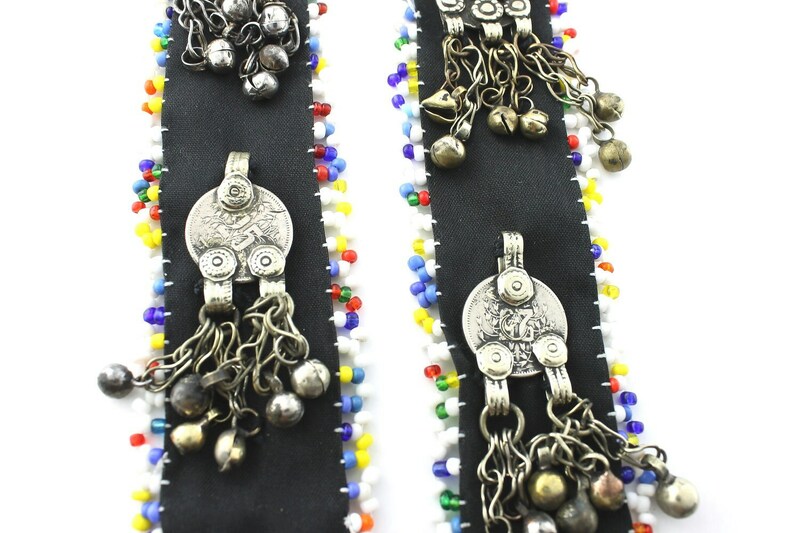 At the top of the piece are two circle beaded medallions with mirror centers. It has a bottom enclosure.